The APX series has always placed emphasis on playability, stylish thin body profile and cutting edge electronics. 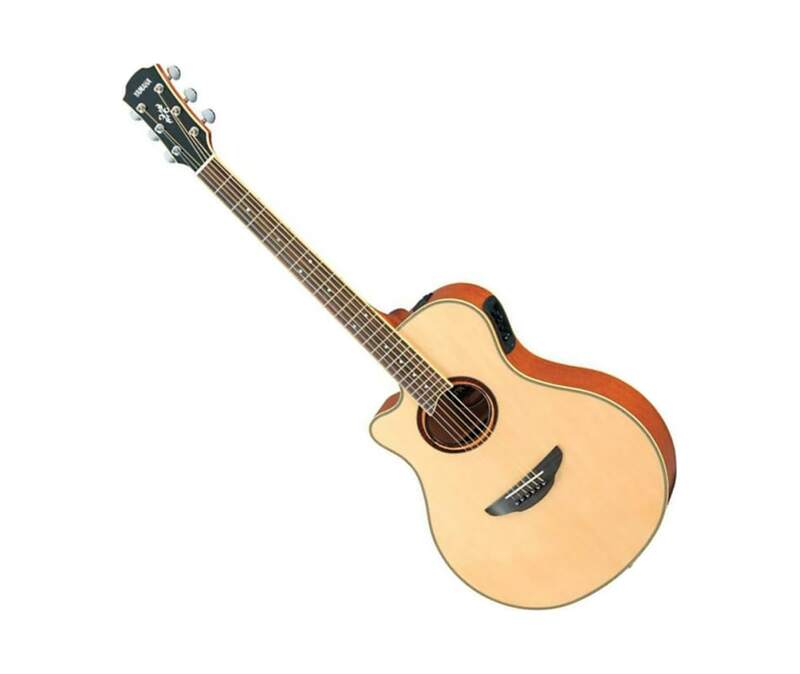 The Yamaha APX700IIL Thinline Cutaway Left-Handed Acoustic-Electric Guitar offers upgraded cosmetics, a solid Sitka spruce top, revamped A.R.T. preamp and the same exceptional playability. This APX shines on stage. With its ultra-comfortable thin-line body and slim, fast neck the transition from electric guitar could not be easier. All-new color variations and updated inlays make sure APX looks as good as it sounds. Case sold separately.